This 259-room hotel fronts the clear waters off Islamorada, one the Florida Keys, and an area renowned for its bone fishing. 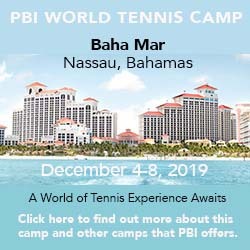 Set on 27 acres, the intimate resort adds other dimensions, among them one of the larger tennis complexes in the Keys—6 lighted hard courts—overseen by pro Dave Butterfield, who offers clinics and private lessons. There is also 1,200 feet of beach, a fishing pier, a nine-hole Executive golf course, and a 5,700-square-foot spa and fitness center with its own 25-yard adults-only lap pool. Finally, the resort is known for the quality of its children's programs, called Camp Cheeca, which entertains kids 5 to 12 from 9 a.m. to 1 p.m. daily and Friday and Saturday evenings. Here's what others have had to say about Cheeca Lodge & Spa.